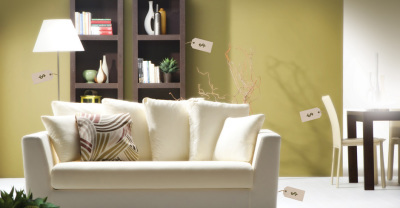 As you may have discovered, getting organized for a sale is not an easy task. We have years of experience to guide your sale and bring the highest possible return for your items. Southern Colorado Estate Sales will manage and conduct your sale or liquidation event from beginning to end with no upfront cost to you. Southern Colorado Estate Sales will organize and sell either part or all of an estate. We'll meet with you to determine exactly what's needed and a timeline for meeting your goals. Getting organized is a lot of work and we'll help organize your items and sell what is no longer needed while helping you to organize your remaining items. Whether it's a private or commercial liquidation, we'll work with you to determine the best method to sell your contents for the highest return within the timeline you want. We are a community minded organization and can help coordinate fundraiser sales for churches, schools, or non-profit organizations. Moving to a smaller home is sometimes not the easiest move. We'll help you organize all your items to ensure that what's important for memories, comfort, and logistics in the next location is ready to go. We'll assist with selling or transferring the remaining items to their next place of use and organize and clean the existing home. Sometimes you've just accumulated too much stuff and need to declutter the house and actually park in the garage again. Southern Colorado Estate Sales will meet with you and organize your items for the sale which will get your house and/or garage back into harmony and put money in your pocket. We also perform total cleanouts of houses and properties that need to be completely emptied.